Since its inception in 1978, SYSPRO has been delivering state-of-the-art business solutions to some of the world's leading companies. As a global leader in the production of world-class ERP software, the company now caters to the specialized needs of 14,000 licensed companies in more than 60 countries worldwide. SYSPRO is marketed globally through regional territory distribution centers and a global reseller network in the US, Canada, Africa, Asia Pacific, Australia and the UK. SYSPRO is a fully integrated business software solution that provides complete control over the planning and management of all facets of business including accounting, manufacturing and distribution operations in a variety of industries. XDimensional Technologies, Inc., headquartered in Brea, California, was founded in 1989 under the name of Fuher and Associates. Ever since, XDimensional Technologies has focused on providing products and consulting services that reduce friction and transaction costs associated with the distribution of insurance products. XDimensional Technologies began by providing automation consulting and systems integration solutions to independent insurance agencies. In response to customer needs, it expanded its services to provide a full range of insurance management and operations consulting. As XDimensional Technologies identified areas of specific need, the company began to develop and integrate technologies designed to automate and streamline insurance operations. Not only did this include development services for software integration, but also for web design and Internet-related services. Over the years, XDimensional Technologies' position as the premier insurance industry consultants has continued to expand as carriers, other intermediaries, and insurance industry associations have sought its expertise in resolving automation and operations issues common to all segments of the industry. Satnam Gambhir is co-founder, Chief Executive Officer and Chief Design Officer of Envision Financial Systems. He is responsible for determining the strategic direction of the company and its products. Satnam has over two decades of experience in managing, designing and developing software applications. 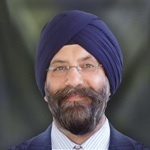 Prior to forming Envision, Satnam was Vice President of the Information Systems group for Analytic Investment Management. There he developed, implemented, and managed the transfer agent software used by four mutual funds. Previously, he designed and developed Computer Aided Design software for Advanced Micro Devices in Sunnyvale, CA. Envision Financial Systems, Inc is a privately held corporation with headquarters in Irvine, California. Envision has offices in Owings Mills, Maryland and Bangalore, India providing client support and software development respectively. Envision was incorporated in 1994. Envision provides real-time shareholder accounting and servicing technologies for mutual funds, asset managers, transfer agents and 529 program providers. Our products allow firms to increase efficiency and improve customer satisfaction, while enabling their emerging business needs. Using industry standard open technologies, along with a modular design, an intuitive interface and configurable rules, our clients are able to introduce new features, functions and product capabilities to the market faster, easier and more cost effectively. Envision is the recipient of numerous awards and recognitions, including First Place for the mutual fund industries Best Post Trade Implementation, First Place for Innovations in the SourceMedia Fund Operations Award, the Deloitte Fast 50 and the Software 500. The company and its executives are featured regularly in industry media, including Ignites, Money Management Executive and the NICSA conferences. Established in 1983, CMS Products, Inc. is a leading innovator in data backup, encryption and security technology for business users and consumers. Their flagship ABSplus automatic backup and restore disaster recovery solution, powered by their award-winning BounceBack software, is sold in more than 90 countries. In addition to their extensive line of laptop hard drive upgrades, CMS offers a full suite of data security products for business powered by their CE-Secure data encryption software. Their data security product line includes the innovative ABS Secure encrypted portable backup solution as well as the VaultOTG encrypted flash drive. By developing leading edge, easy-to-use products revolutionizing the notebook and desktop data backup/restore and storage industry, CMS Products has received global recognition because of its high quality, user-friendly product offerings. CMS Products offers its products through enterprise, government agency and educational institutions, as well as SOHO, consumers through national and international distributors and resellers. Jim Skurzynski is one of the original founders of Digital Map Products. He has spent the majority of his career designing and managing the deployment of technology solutions in a variety of public and private sector environments. Over the past twenty years, he has held executive management positions in spatial technology companies in the USA, Canada, and Mexico. Founded in 1997, Digital Map Products is a leading innovator of cloud-based spatial solutions that bring the power of spatial technology to everyday business, government and consumers. Digital Map Products’ mission is to take sophisticated spatial technology and make it easy to implement and use. Digital Map Products’ (DMP) solutions capitalize on the intersection of two influential, emerging technologies: Cloud Computing and Geospatial Technology. Through its spatial development platform, SpatialStreamTM, and embedded GIS industry applications, CityGISTM and LandVisionTM, Digital Map Products is a driving force behind the mainstreaming of spatial technology. DMP is an established leader in helping organizations turn data into visual insights with spatial technology. Digital Map Products is headquartered in Irvine, CA. Through its channel partner program, Digital Map Products helps make spatial technology and data more widely available, and provides additional revenue opportunities for GIS service organizations, data providers and map integrators. Dave Cunningham, CEO, talks about the evolution of IT management, how sales processes will change in digitized Internet economy, and the path for small business who want to leverage others' expertise. In business since 1982, Dempsey Bluevar has been working with companies to integrate, manage, and protect their enterprise systems and information assets. Beyond our expertise in strategic, technical, and project management, however, Dempsey Bluevar also brings a passion for extra-mile service to our clients. As your technology partner, Dempsey Bluevar focuses on quality, efficiency and reduced cost of ownership to deliver the optimal technology platform for your organization. Our Team Is Your Team Dempsey Bluevar professionals go beyond expert problem solving and customer support to work as an extension of your IT Support Department. Our problem-solving approach begins with understanding your business objectives, IT strategies and desired results and ends with scalable solutions that serve as a foundation for your future growth.